We have a great selection of hedging in stock right now! 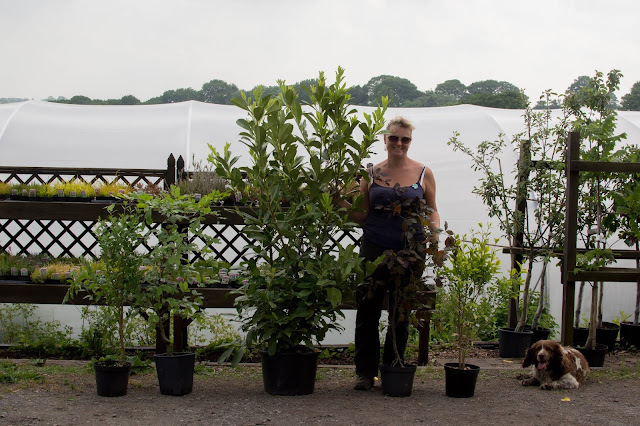 Grown here at the nursery you will find a lovely range of laurels, beech and privet. If you are fed up of painting fences or repairing broken ones, go for a natural hedge instead. They are a windbreak, allowing the wind to pass through the foliage unlike a fence which has to stand up to the strain of gales. They offer great screening potential and provide a much needed habitat for wildlife. And they only need a little pruning a couple of times a year to keep them in order and looking fine! Pop in and talk to our staff about the best options for your garden.